SONS OF THE SOIL : ABERDEEN FREEMASONS HALL : MASONIC TEMPLE ABERDEEN : ABERDEEN MASONIC LODGES. 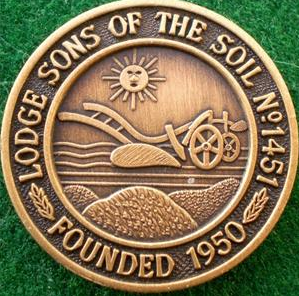 – Sons of the Soil 1451 on the Square of the Grand Lodge of Scotland. Meetings on First and Third Wednesday September-April, All Brethern Warmly Welcomed. SONS OF THE SOIL 1451. Last year in 2018 we had 12 candiates that went through the craft and this year 4 has joined so far and another 10 almost ready to start although theres a lot of completed forms still to be read out and the next regular meeting will be on the 17th of April 2019 we are working a double 1st degree (another 2 gentlemen has been invited making a possible 4 E.A’s) tyle for 7.30 pm but we might run a bit later! We have now raised 6 brethren already in 2019 and we all wish them well in their future masonic journeys as its No secret being a master mason is only the first steps for many! We have also given 1 candiate to an Angus and 1 to a Glasgow lodge since the last update as it made more sense for these potential brothers to stay very local and for 1451 to help our brethren in other parts of the country, we do this more than most know. TO JOIN ABERDEEN FREEMASONS PLEASE CLICK THIS LINK? Nothing bad to report this month (April) although our DM Bro. Pete Gilpin’s partners Cuban Grandmother passed away, the lodge sends our heartfelt best wishes to him and her. We now have our own facebook page with over 5300 real masonic members updated daily please click this link.